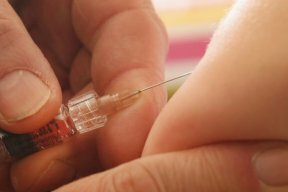 The Chicago Department of Public Health (CDPH) is teaming up with Blue Cross and Blue Shield of Illinois (BCBSIL) to encourage parents to get their children vaccinated before the start of the school year in September. The back-to-school immunization program features a bilingual public education campaign and vaccines with no out-of-pocket cost at locations across the city. CDPH’s goal is to get all Chicago’s students up to date when entering school. As part of the campaign, CDPH will also provide vaccines at no out-of-pocket cost to residents at parks, schools and other community locations across the city. 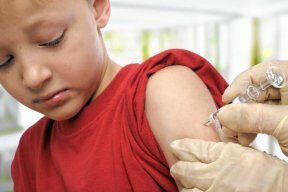 For more information on CDPH back-to-school immunizations, visit CityofChicago.org/Health. St. Mary of Nazareth, 2233 W. Division St., 9 a.m. to 12 p.m.
New Life Covenant Church, 5100 W Diversey Ave., 9 a.m. to 2 p.m.
Apostolic Church of God, 6320 S. Dorchester Ave., 10 a.m. to 2 p.m.
Way of Life Church, 4635 W. Fulton St., 10 a.m. to 2 p.m.
Antioch Missionary Baptist Church, 6248 S. Stewart Ave., 9:30 a.m. to 1 p.m.
Moos Elementary School, 1711 N. California Ave., 10 a.m. to 1 p.m.
Pulaski Park Fieldhouse, 1419 W. Blackhawk St., 10 a.m. to 1 p.m.
St. Gall Health Fair, 5500 S. Kedzie St., 9 a.m. to 12 p.m.
Fuller Park, 331 W. 45th St., 10 a.m. to 1 p.m.
Roosevelt High School, 3436 W. Wilson Ave., 10 a.m. to 1 p.m.
Schubert Elementary School, 2727 N. Long Ave., 10 a.m. to 2 p.m.
Marshall High School, 3240 W. Jackson Blvd. ,10 a.m. to 3 p.m.
Dyett High School, 555 E. 51st St., 10 a.m. to 2 p.m.
McKinley Park, 2210 W. Pershing Rd., 10 a.m. to 2 p.m.